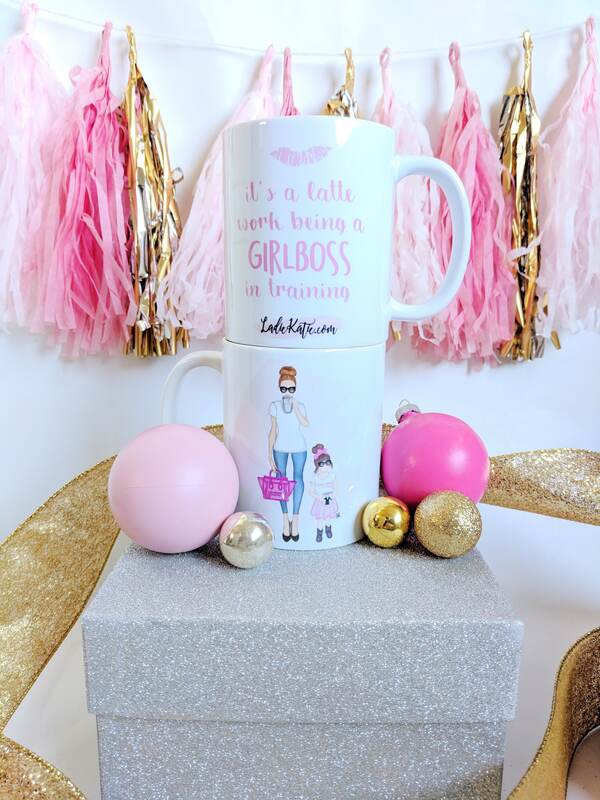 Trust me I know - "It's a Latte Work Being a Girl Boss"! 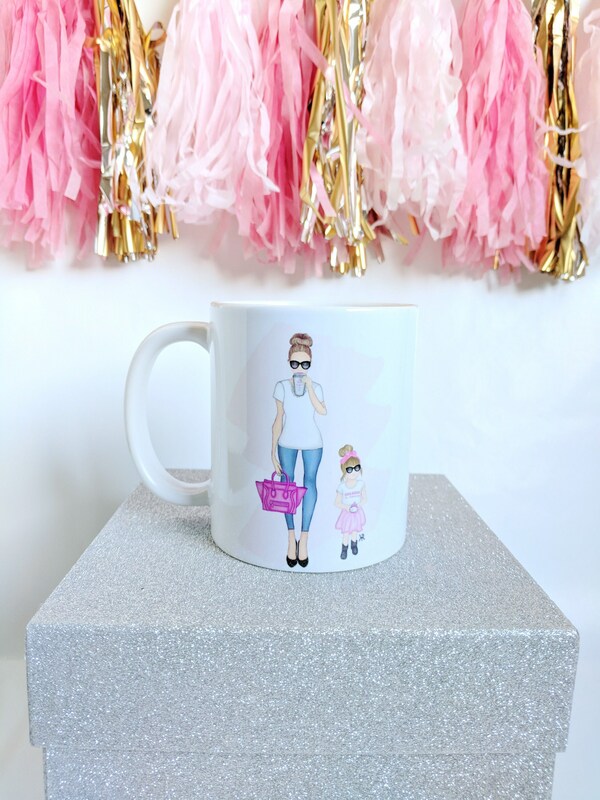 Even harder to be a girlboss and momma bear! 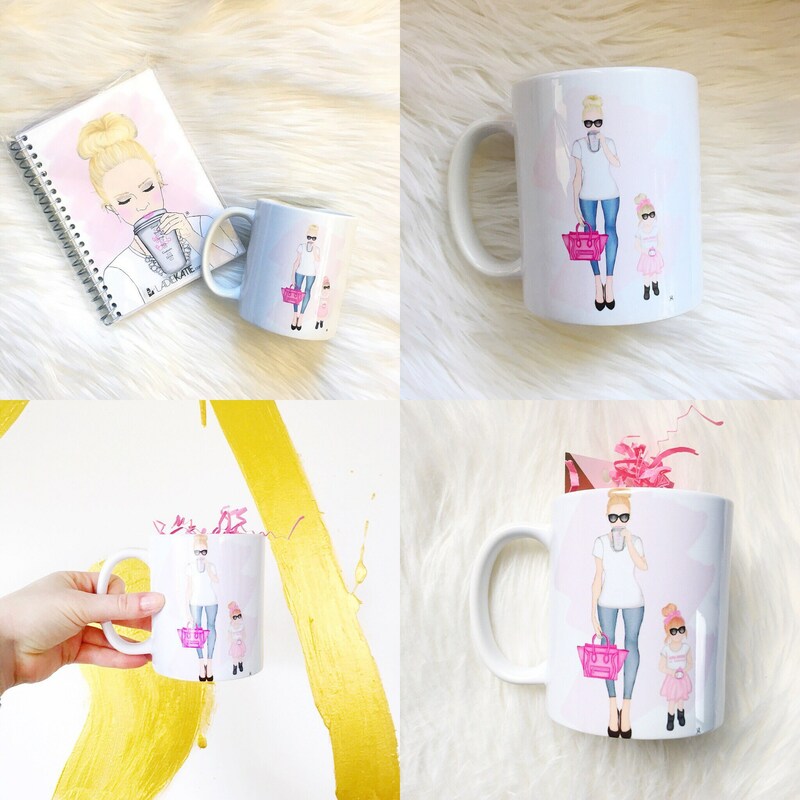 This listing is for a mug with a print of my original illustration "Girlboss in training." 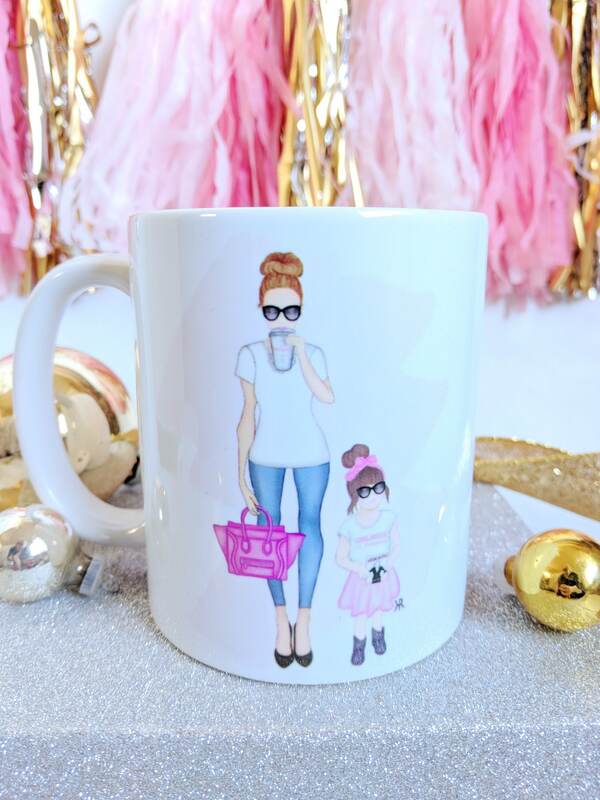 What a perfect gift for mothers day! 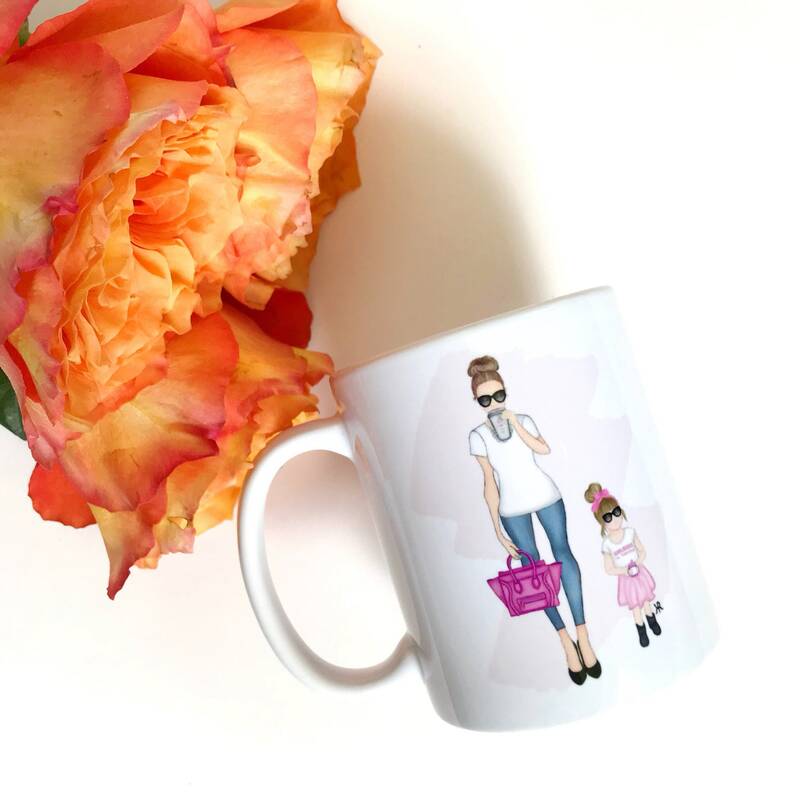 Hair in a topknot, drinking girl boss fuel, with her mini me, this girl power mug is available in 4 different options--please select the number of the girlboss and girlboss in training that best represents you from the dropdown menu. This 11 oz white porcelain mug is Dishwasher and microwave-safe but hand-washing is recommended. One side of the mug featured the illustration. The other says "Girlboss in training." 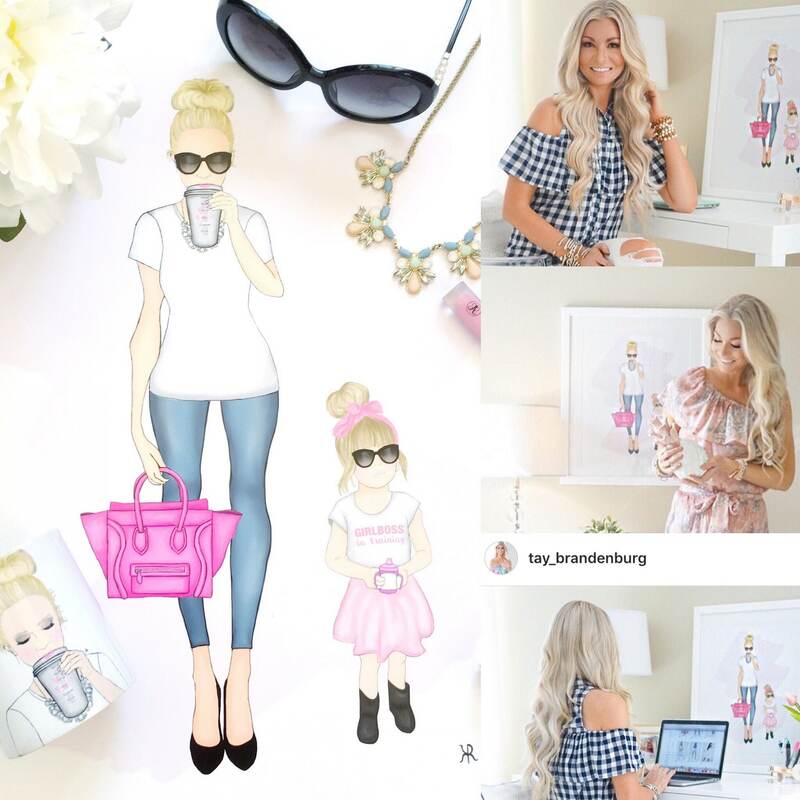 Have more than one girlboss in training? No problem- send me a message about adding all your mini me's. 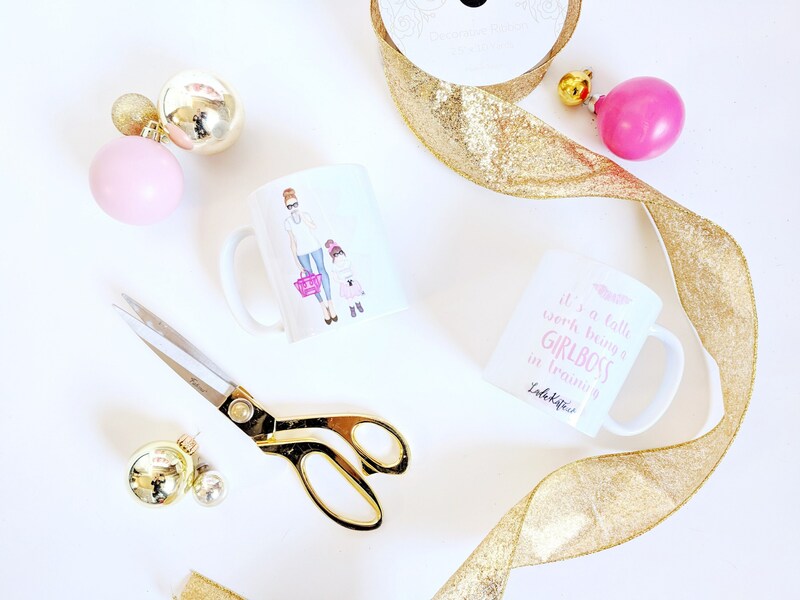 Don't see the girlboss you're looking for? 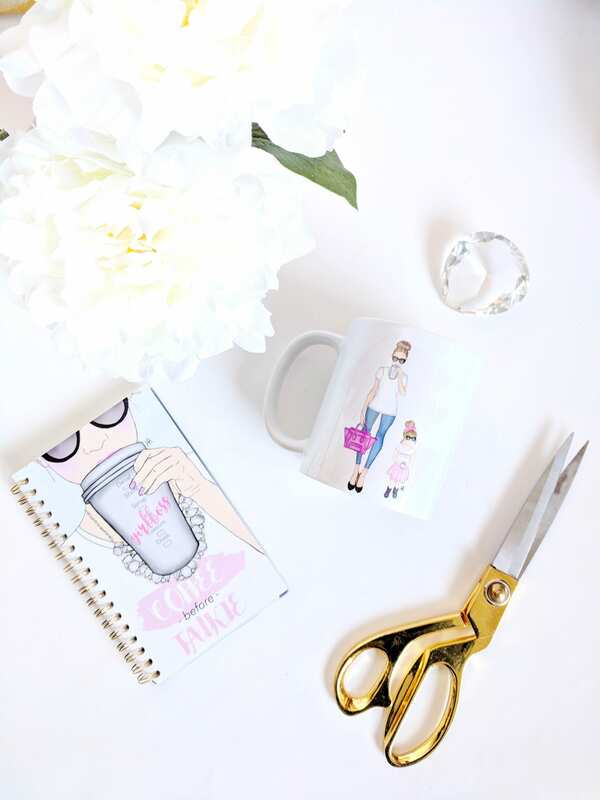 Write me a message to discuss customizing one for you! And now there is also a boyboss print!